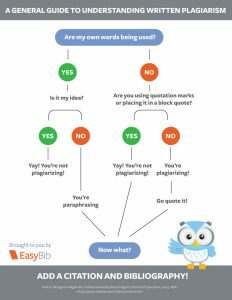 What is an online plagiarism detector or so-called anti-plagiarism checker? According to the Spruce, plagiarism is a sign of an even bigger problem. When many people are trying to save time and complete their work fast, they are tempted to copy their work on the web. However, this is one of the mistakes to avoid if you want to prevent any citations and plagiarism mistakes committed by many students and professionals. See if you have given proper credit to your sources in your paper. So if you’re using ideas of a historical event, for example, you must provide credit to the source of those ideas. Another is when you’re planning to use a journal article. You should also learn how to cite this source if you’re adding it to your research paper, for instance. The same thing if you’re trying to cite using Modern Language Association. There are specific styles for every citation guide, and you must follow them properly to avoid any plagiarism mistakes. In addition, citing and referring to the information source is important, or else, you might have to deal with the consequences of copying and pasting text from a source without giving credit to it. In school, you might get a failing mark if your professor has caught you copying and pasting someone’s work into your essay. To avoid it, you may want to use the online plagiarism detector that will spot for plagiarism in your paper. Don’t know how to remove plagiarism? Click on the link and take a look at the best practices! To use the format of the citation, you must learn from a guide meant to do citation using it. These guides can help you understand specific requirements to follow when using a specific citation style. It will be your help following the instructions of your professor in citation styles. 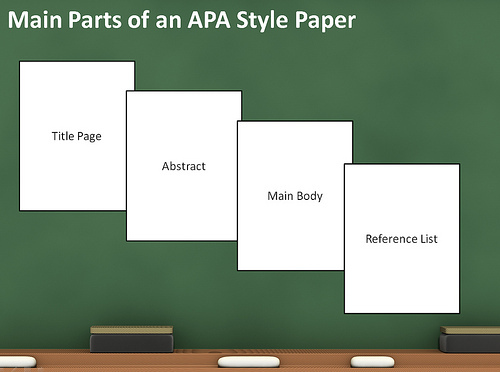 That is why you need to look into these guides and follow the right one you need when citing sources before using the APA plagiarism checker, for example. What Is Classified as Plagiarism If Not Correctly Formatted in APA and MLA? Citing sources is used to avoid any intellectual property infringement. You must be able to highlight your primary and secondary source material in order that you can give credit to the sources that you used in your paper. In addition, you must give credit to your source so that you can improve your credibility as well as build your audience’s trust. What is classified plagiarism is not highlighting the source of your information. However, citation is not all you need because you also have to use the right citation format or style and bibliography. Is it American Psychological Association? Is it Modern Language Association? For example for MLA, it makes use of both in-text and Works Cited page. The style is commonly used in courses in the humanities and English. It is also used for many essays. On the other hand is the APA that uses its own citation too. The format is used in many social sciences courses as well. Lastly is the Chicago Style, which is commonly used by students in the humanities and history courses. To avoid any trouble when using plagiarism detector online, you should learn of the specific guidelines for formatting citations using the specific style as required by your teacher or professor. Some of the things to learn are endnote citation, bibliographic and in-text citations. What is considered as plagiarism by an online plagiarism detector for students is not citing the sources correctly using the style guide as specified in your course. In order to avoid the problem as a result in the plagiarism detector for students, you should learn paraphrasing techniques. Read and understand the source and do not begin unless you totally understand its context. Take down notes on keywords and clues for use as reference later, as well as for ensuring that you won’t forget an essential idea as stated in your source. Before using the plagiarism detector tool, you should also know that rewriting must be done without first editing your first draft so that you can proceed and complete the process fast. When done paraphrasing, you can compare your work with the original work to ensure that you did not miss any essential information from your source. If you have missed something, be able to add it. As another tip, you should not input your personal opinion in the paraphrasing because this is not a literary review. What you need is to include the important details from your source in your paper, and ensure that you are not copying the text from it to avoid any hits later with the best plagiarism detector. For the best results in using the best plagiarism detector, you must also use those that can effectively spot for plagiarism. It will help to read reviews and feedback about the tool before using it. Follow this guide and get the best results from the copy content checker. Finally, learn paraphrasing techniques that will help you much in writing and do not forget to spot for any traces of plagiarism using the copy content checker. Use an online plagiarism detector today!